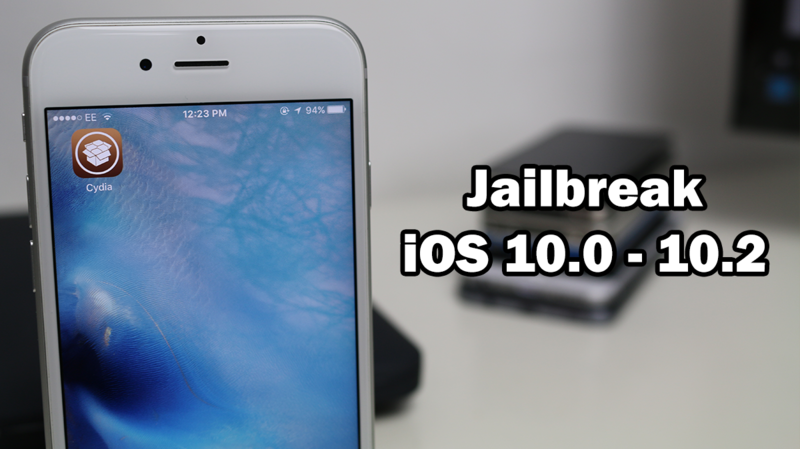 The jailbreak tool, called yalu102, can be downloaded from qwertyoruiop’s official website and is compatible with iOS 10.0 to 10.2 on supported devices. This new jailbreak only works with 64-bit devices, meaning it will never work with the iPhone 5 or 5c unfortunately. At the moment this tool supports all 64-bit devices except the iPhone 7. This method doesn’t require a computer to do, but if you’d rather use the computer method, you can find it here. Since this method doesn’t download the IPA from the official website, you should proceed with caution. It is possible (but unlikely) that this version of the app has been tempered with. You have been warned. Since this requires an enterprise certificate to install, it is possible that Apple could revoke the certificate causing the app to not open. If this happens, you just need to reinstall the Yalu102 app using one of the download links below, or by using Cydia Impactor. Open Safari on your iOS 10.0 – 10.2 device and navigate to the download page above. You might be asked to enter a passcode. If you are, type ‘1129’ into the text box and tap the green button below it. Once the install page loads, tap the green download button on the page. If you get redirected to a page that says ‘Sorry, download is too fast’, just go back, refresh the page, and try again. It should work eventually. When it does work, a window should pop-up asking if you want to install the app. Tap ‘Install’ again and the Yalu102 app should begin installing on your device. Once the Yalu102 app is installed, open Settings and navigate to General>Profiles & Device Management and find the Yalu102 app profile. Open it and click ‘Trust’ twice. As this is a Semi-Tethered jailbreak, after you reboot your device all jailbreak features will be disabled. To fix this all you need to do is open the yalu102 app, tap the ‘go’ button, and wait a few seconds for your device to respring (do not press anything on the device in this time). It is possible that, if Apple revokes the certificate for this app, that the Yalu app with begin to crash when you try to open it. If this does happen, come back here and try to reinstall it using the link(s) above. If none of those work, you can install it using the standard computer method here. Couldn’t jailbreak my iOS 10.2.1 from above-provided links. But I did easily jailbreak from silzee online jailbreak site. So coool ! Unable to download yalu102 @olo2016 at my iphone 5s from any link you provided sir…please update me abou this. Hope you guys can find one fast because i’m not patient enough and it’s been more than 1 week already. Can y’all fix this it’s July 21 and not working. how do they make the online jb 10.2 ? The links are all dead can’t be installed,please update now I’m stuck without my jb? Yalu downloaded OK but after pressing go and device restart Cydia app is not installed? When I try to download it keeps saying “unable to download app please try again later” is there any way to fix this? These links still being updated? Used the first link, when I click ‘go’ it says ‘failed, retry. why it say failed，retry. how to solve this， please help me.